The quaint little red and white building on Blackburn Lane, in Calcutta’s (Kolkata) Tiretta Bazar (now also known as Poddar Court) area, housing the Toong On Church, a Chinese temple to the warrior God Kwan-Ti, was also once home to Nanking, Calcutta’s first Chinese Restaurant. 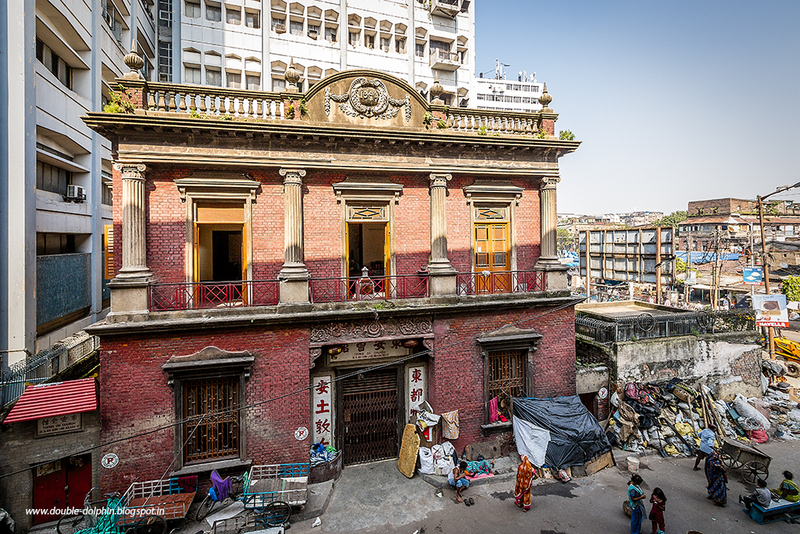 The building has survived against all odds and is today part of the restoration efforts spearheaded by The Cha Project, which seeks to revive Tiretta Bazar, Calcutta’s first Chinatown. The Chinese have been visiting India since the time of Fa Hien and Hiuen Tsang, but the earliest Chinese in modern Calcutta were probably deserters from ships which had docked here to trade. The first official settler was a man named Yang Daijang from Guandong (Canton) who the British called Tong Achew (or Atchew). While the date of his landing is not known, it was during Warren Hastings’s tenure as Governor General (1774-1785) that Achew was granted 650 bighas of land in Budge Budge to set up a sugar mill against an annual rent of 45 Rupees. The area is still known as Achipur and is the centre of an annual pilgrimage of the Chinese of Calcutta. The sugar mill is long gone, but a temple and a cemetery remain, with the chief grave being that of Tong Achew who the Chinese regard as a sort of Godfather. The first Chinese settlement in Calcutta started around Kasaitola, near Dharmatala and extended further North, into the area that was then called Tiretta Bazar. Tiretta Bazar, also known as Teritty Bazar, gets its name from the Italian civil architect and town planner Eduardo Tiretta, who founded the market. Immigrants from different parts of China went into different trades in Calcutta. Those from Shanghai went into the laundry business, the Hakka went into carpentry and leather, the Hupeh or Hupak went into dentistry while the Cantonese ran the restaurants. Each immigrant community started its own social club, which controlled a temple or “Church” and a burial ground. The Sino-Indian war of 1962, caused many Indian Chinese to leave India. 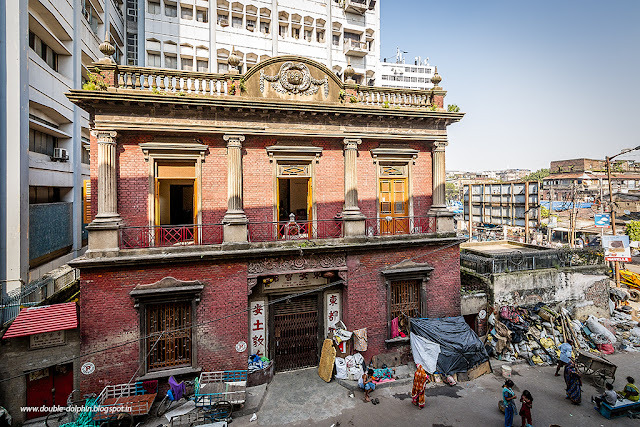 The few who remain are settled around two areas; Tiretta Bazar and a second, newer Chinatown in Tangra, in Eastern Calcutta, which was started primarily by the Hakka who built tanneries there. Cantonese migrants from Koon Tong purchased the plot on Blackburn Lane in 1917 and the Toong On Church or Chinese Temple was completed in 1924. 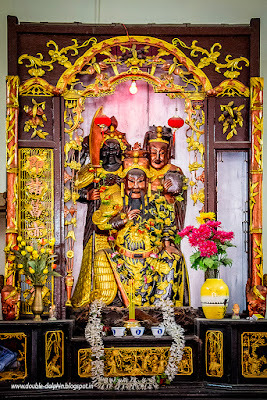 The shrine is dedicated to Kwan Ti, who is the Chinese God of War. But Kwan Ti was human once. A human who became a God?! Quite common in China actually! Kwan Ti, who is also called Kuan Ti or Guan Yu was in fact a Han Dynasty general, who played a significant part in the civil war that ended the Han Dynasty. As stories of Kwan Ti spread far and wide, history was slowly replaced by legend and today, temples to him may be found in China, Taiwan, Hong Kong and any other place with a large Chinese community. 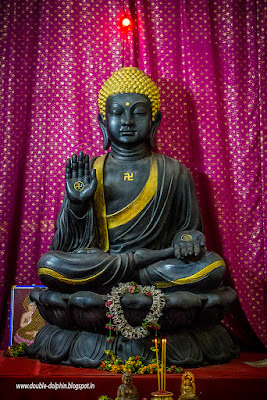 Kwan Ti is worshipped in Taoism as well as Chinese Buddhism where he is seen as Sangharama Bodhisattva, a heavenly protector of the Buddhist religion. No physical description of Kwan Ti is available, although one text notes that he had a beard. He is traditionally portrayed with a red face. Kwan Ti’s weapon of choice is a “Guandao”, which is a heavy blade with a spike at the back and sometimes also a notch at the spike's upper base, mounted on a 5 to 6 foot long wooden or metal pole with a pointed metal counter weight used to balance the heavy blade. Of the two figures that stand behind Kwan Ti in Toong On Church, one may be seen holding a Guandao. 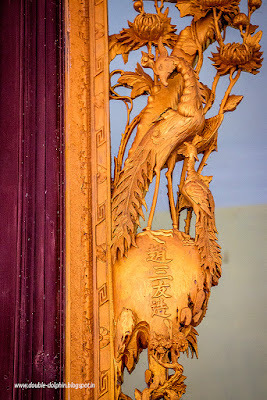 In 1925, The Au family of Calcutta started the Nanking Restaurant which was Calcutta’s, and probably India’s, first Chinese eatery on the ground floor of the Toong On Church building. It was a very posh affair, with violinists at the gate playing for customers as they came in, expensive furniture, and authentic Chinese food, not the generic gravy noodles and chilli chicken that one finds everywhere today. 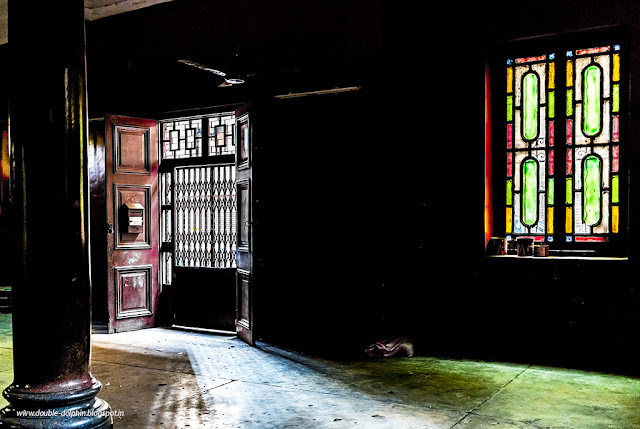 Such was the fame of Nanking that it hosted film stars like Raj Kapoor and Dilip Kumar, who would go up to the veranda on the 1st floor to wave to the crowds that gathered on the streets to get a glimpse of them. On that first floor was the temple, which the Au family kept a secret, never permitting anyone from outside the community to enter. But just like somewhere in the world, when a butterfly flaps its wings, it starts a hurricane in some other corner of the world, Nanking’s downfall was influenced by something quite distant. The Anglo-Burmese war of 1824-1826 and the Sikh conquest of Ladakh in 1834 had given India a common border with Tibet. However, repeated attempts to get all the three parties involved, India, Tibet and China, to agree to a border had been an impossible task. Frustrated with China turning down every offer, the British signed an agreement with Tibet about a border drawn by erstwhile British Foreign Secretary of India, Sir Henry McMahon. China refused to recognise the McMahon Line. When China invaded Tibet in 1950, and Nehru’s government chose to give shelter to the Dalai Lama, head of Tibet’s government, relations between the two countries became strained. Small border skirmishes with China exploded into open war on the 20th of October, 1962. For the Chinese in India, dark days lay ahead. For Mother India, her own citizens of Chinese origin were now suspected spies and a threat to state security. A massive sweep operation began all over India, but especially in the North East, to arrest all Chinese and send them to the Deoli Internment Camp in Rajasthan. They were held there, without due process for years. Many Chinese with longstanding jobs at Calcutta’s port, found themselves laid off overnight. 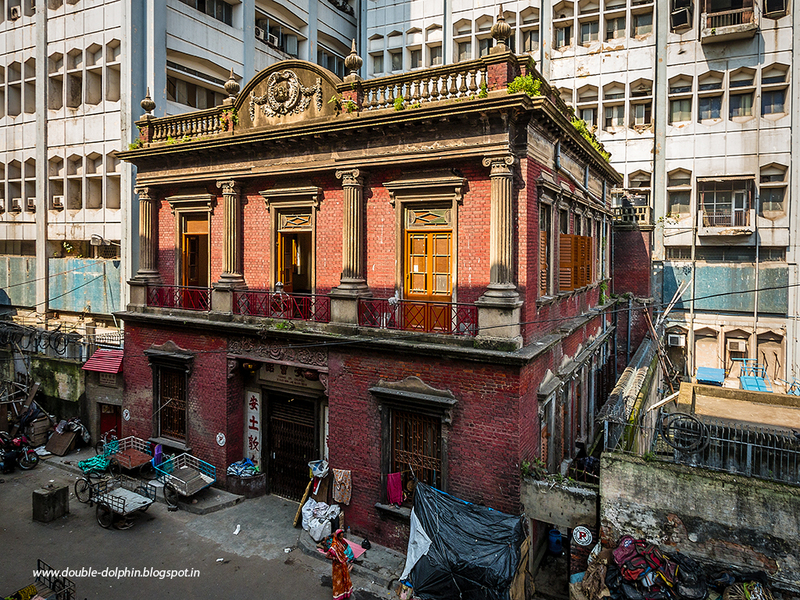 In Calcutta, the Chinese found themselves boxed in, with special permission needed to step outside Tiretta Bazar. Those who survived tell stories of living in fear; a knock on the door in the middle of the night could mean the police had come to cart them off to Deoli. No restaurant could prosper under such circumstances, and Nanking began a slow fall from grace. The restaurant that once served the biggest film stars became a “house of ill repute”, especially thanks to the curtained cabins along its walls. Nanking finally shut down in the late 1970’s. Any visitor to Toong On Church today, will find two gigantic Calcutta Telephones buildings to its south and west. Calcutta Telephones had originally wanted to demolish Toong On, and take over the entire plot. The Au family went to court to put an end to this, and the temple trust handed over to them the original deed of conveyance, which they simply never returned. By the time Nanking shut down, ownership had passed to the founder’s grandson, Au Yau Wah. Unable to make the restaurant work, Au Yau Wah began to strip the temple on its first floor bare. Toong On contained priceless relics, furniture and fine examples of Chinese craftsmanship. Au began to cart them out in dead of the night, and sell them all. Things came to a head when Au tried selling the property itself in 2008. Alarmed, the secretary of Toong On Church, Li Han Kuang, who was then working on a ship in Athens, returned to Calcutta to begin legal proceedings against Au. The court sided with the temple trust, put a stop to the sale, and ultimately the temple trust were able to regain control of the property. Au died in 2008, a few months after his legal defeat. His successors have no interest in the property, and only his widow is rumoured to be living in Calcutta now, at their family home on 75, Ganesh Chandra Avenue. The easiest way to get to Toong On Church, would be to use the metro and get off at the Central Metro station. From there, find your way to the crossing of Central Avenue and Sun Yat Sen Street. It is easy enough to find since right on the crossing stands a black statue of Maharana Pratap on horseback. Take the road to the left of the statue and proceed forward or West. 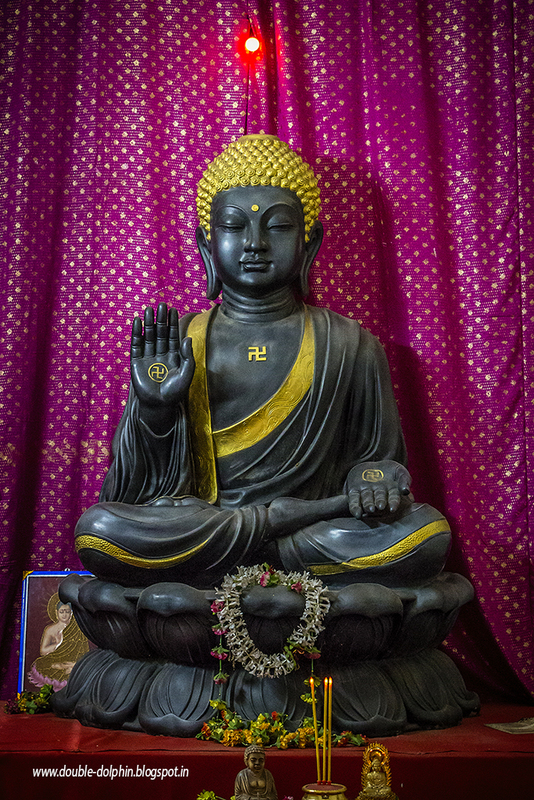 As you proceed forward, take note of the Burmese Buddhist Temple to your left. Blackburn Lane is the 5th right turn. To make matters simpler, here it is on Google Maps. The temple is open all day, even on Sundays. If you find the gate locked, ring the bell, and someone will let you in. Chinese temples are much less restrictive, especially about things like attire, so feel free to walk around and explore. There is no restriction on photography inside or outside the temple. For the best shot of the exterior of the temple, climb up the stairs of the half constructed building on the opposite side of the lane. New trouble faced Toong On in 2013. The municipality had placed an open garbage dump at the entrance to Blackburn Lane. It now chose to move the garbage dump right into Blackburn Lane, right next to the entrance to Toong On. Protests from the Chinese community led to the municipality promising to move the dump, but so far nothing has been done. Blackburn Lane also become home to poor migrants from Bihar, who scavenge the garbage for plastic and other recyclable materials and turn waste wood into kindling to sell. Their shacks are all over the lane. Opposite Toong On is a building which apparently belongs to Calcutta’s Metro Railway. It has remained in a half constructed state for ages, and is now a multi-storeyed shanty town. The Cha Project, an effort by Indians abroad, as well as Indian Chinese, would like to revitalise the Tiretta Bazar area and showcase it. Their efforts have led to a lot of recent activity and renewed interest in the Chinese temples and other properties of Tiretta Bazar. A recent dragon boat festival drew huge crowds. Toong On Church was featured in the recent Bollywood film Detective Byomkesh Bakshy which recreated Nanking Restaurant on its ground floor. The municipality has recently acquired modern garbage compactors, which if installed near Toong On, would improve matters considerably. However getting the shanties cleared is political dynamite and not many politicians have the stomach for it. In the real world, Kwan Ti, the man the Chinese now worship as their warrior god, was a loyal and fierce warrior. Legend says he was able to fight off thousands single-handed. Will his temple fall prey to something as mundane as government apathy? Only time will tell. I am grateful to Iftekhar Ahsan of Calcutta Walks and blogger Rangan Datta for sparking my interest in Tiretta Bazar. 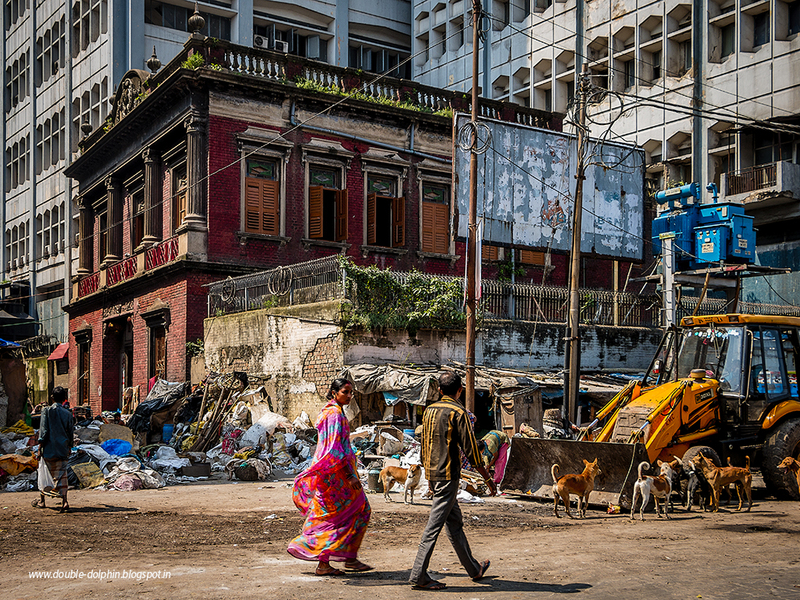 Plan a walking tour of Calcutta with Iftekhar, check out his website here. Read Rangan Datta’s posts about history, architecture and travel in his blog here. I am deeply indebted to Rinkoo Bhowmick and everyone involved with the Cha Project. Without their help, this post would not have been possible. Something more than a simple “thank you” is due to Ho Yuan That, Lawrence Ho, and all the wonderful people of Tiretta Bazar for patiently answering my endless questions and sharing their stories with me.